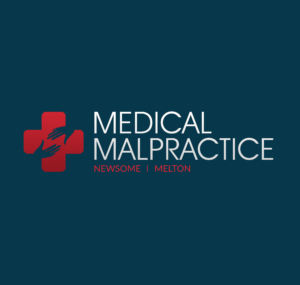 Common Malpractice Cases: Hospital Malpractice | Legal help resource for people affected by dental & medical malpractice. Other research has found that a surprisingly small number of doctors account for the bulk of all malpractice payouts to patients. According to research gathered from 1990 to 2002, just five percent of doctors were responsible for 54 percent of these payouts. Furthermore, doctors who have had multiple malpractice payouts against them have rarely received reprimand from their state medical boards. In fact, just eight percent of doctors with two or more malpractice payouts have been disciplined. Moreover, just 17 percent of doctors with five or more malpractice payouts against them have been disciplined by their state medical board. However, doctors are not the only health care professionals who are responsible for medical negligence and malpractice accusations. In addition, the hospital itself is frequently not held responsible for the errors of doctors unless they are official hospital employees. However, other hospital employees, such as paramedics, nurses, and medical technicians, can bring negligence charges on a hospital. Serious injuries and even death to patients can be the result of this hospital negligence, as these patients may provide the bulk of the care to patients. Patients can help lower their chances of hospital negligence by ensuring that the hospital personnel know that their family is acting as their advocate. They should be allowed to receive any and all information regarding care including current status and all medications being given. If it is a planned hospital stay, patients are encouraged to ask ahead of time all the questions they may have regarding the procedure or treatment and what happens after that procedure. In addition, patients should find out what medications will likely be given and be sure to find out how they could react with medications already being taken. Patients are also encouraged to take those prescriptions with them to the hospital. Having all the information about medications, especially painkillers that may be given, is extremely important to avoid the high risk of error. Amitabh Chandra, et al. “Malpractice Risk According To Physician Specialty.” The New England Journal Of Medicine 365.7 (2011): 629-636. MEDLINE with Full Text. Web. 30 May 2012. Huntington, Beth and Nettie Kuhn. “Communication gaffes: a root cause of malpractice claims.” U.S. National Library of Medicine, April 2003. Web. 30 May 2012. “Quick Facts on Medical Malpractice Issues.” Public Citizen, n.d. Web. 30 May 2012.